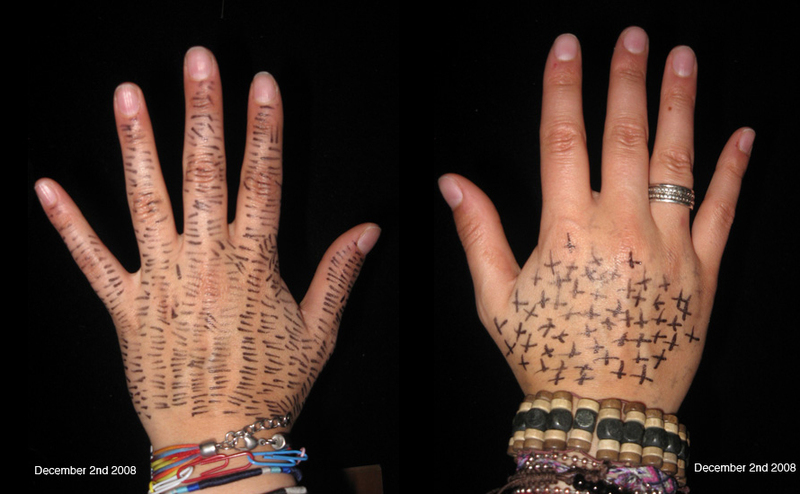 One line on my left hand for every person I ignore and one cross on my right hand for every person I interact with. Over one year that's 15,500 people out of 87,950 which makes an average of 17%. One line on my left hand for every person I talk to and one cross on my right hand for every person I touch.